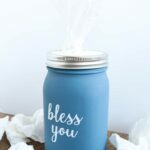 Why settle for a box messing up your decor when you can make this mason jar tissue holder in minutes? Add tissues to the inside and ditch the box! 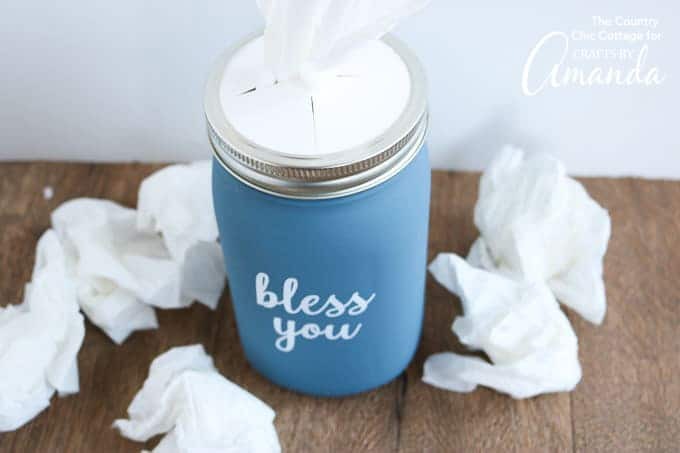 This is perfect for your nightstand or anywhere else in your home where you want to keep tissues on hand at all times. I added some vinyl to the front of my mason jar tissue holder but you can leave it plain or even add a monogram. Think of all the ways you can paint and decorate mason jars. That is how many ways you can make your own tissue holder! The sky is really the limit. Related: Love these and looking for some more mason jar ideas? 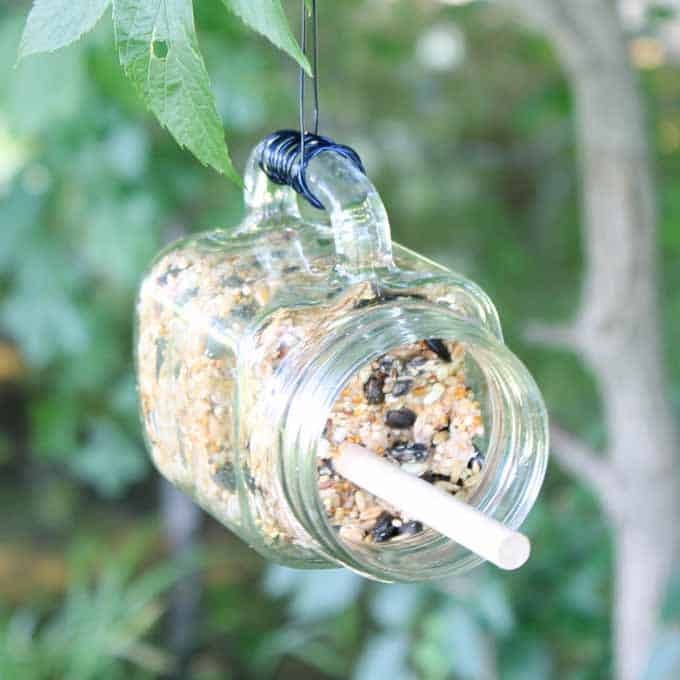 Try this change jar for the laundry room or this mason jar bird feeder. Remove the lid from your jar and paint the entire thing with a few coats of craft paint. Allow to dry completely between coats. While your project is drying you can make any embellishment you want for the front of the jar. 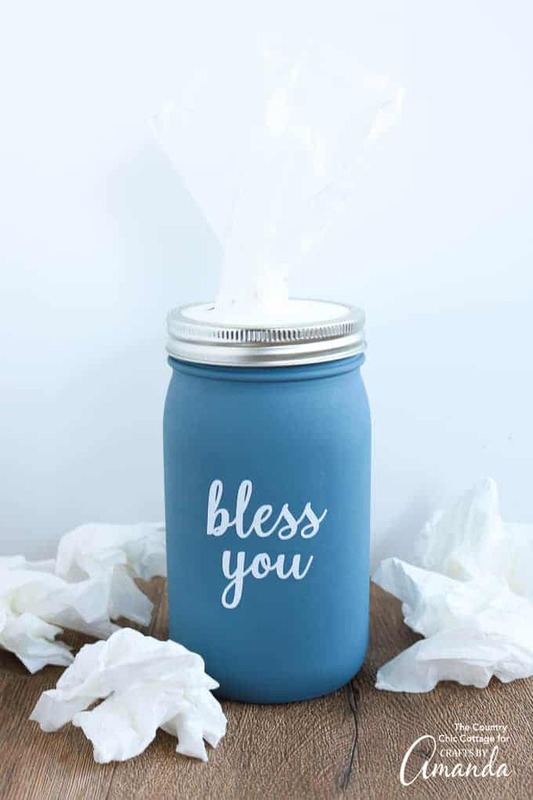 To make the “bless you”, download our file by clicking here. Then upload to the software for the cutting machine of your choice. Cut from any color vinyl. Once your jar is dry, weed your vinyl and use transfer tape to add to the front of the jar. Then use your lid as a template and cut a round circle from thick card stock. Use a craft knife to cut an X in this card stock but stop short of the edges of the circle. You will want to use a self-healing mat under this or a scrap piece of cardboard to protect your surface. Then add the circle into the band of your mason jar. 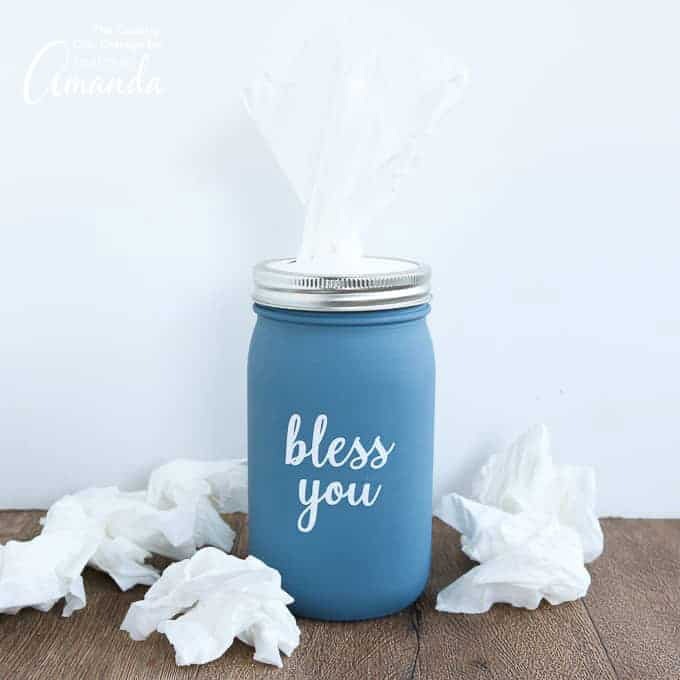 Remove the Kleenex tissues from the upright container and place in your jar. Then screw on the band with the card stock in place. 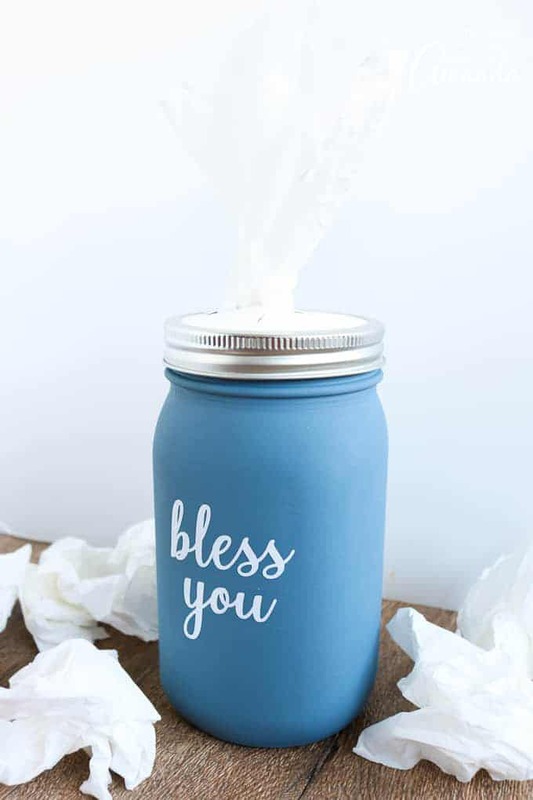 Pull up on your first tissue and your mason jar tissue holder is ready to place anywhere around your home. What will you add to the front of your version of this project? Be sure to pick colors and designs that work with your home. After all, you want your mason jar tissue holder to be part of the decor! With cold season upon us, you might want to get supplies to make a few of these! You might just need one in every room. Have a lot of mason jars? 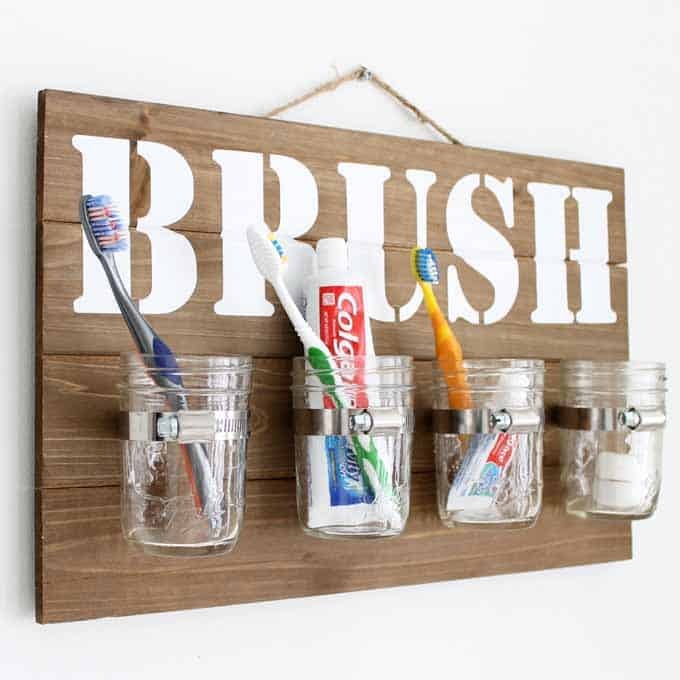 Make this mason jar bathroom organizer for your farmhouse style home! Or this mason jar bird feeder with a suet cake! An easy project that the birds will thank you for. While your project is drying you can make any embellishment you want for the front of the jar. 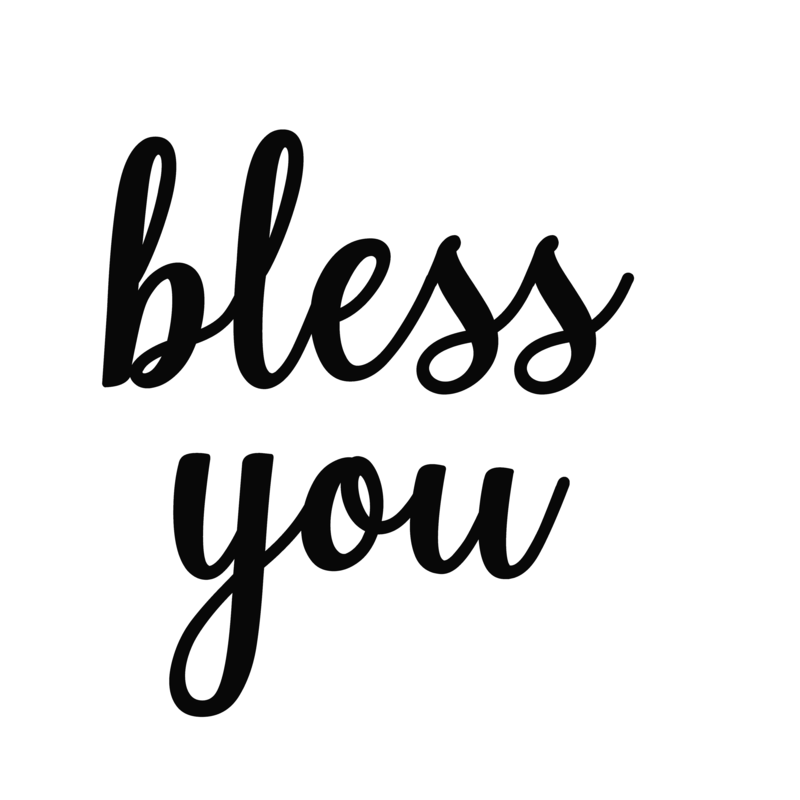 To make the "bless you", download our file by clicking here. Then upload the software for the cutting machine of your choice. 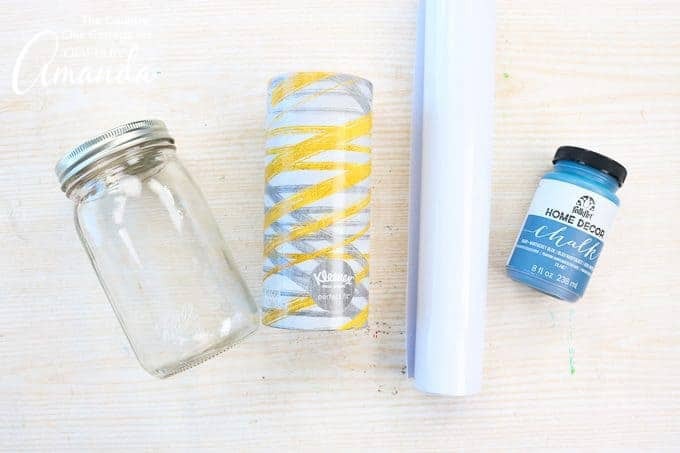 Once your jar is dry, use transfer tape to add the vinyl to the front of the jar. Angie Holden is author of The Country Chic Cottage where she shares crafts, recipes, and DIY projects daily.She lives on a farm in rural Tennessee with her husband and three children.She loves creating and sharing her creations on her blog and social media.